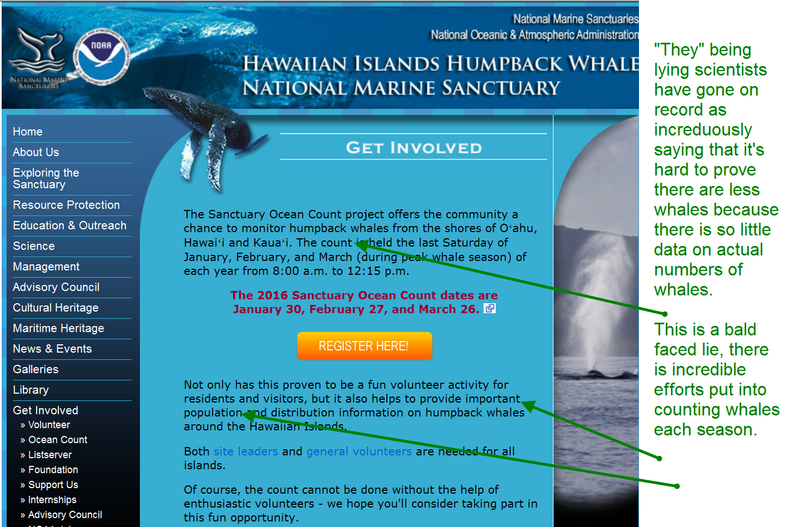 We are into the third week of January, and the Humpback whales have still not shown up in Hawaii. Usually they start showing up in early December. In late December and early Jan, a few news stories were published showing scientists who were puzzled as to why there were so few whales. Then around Jan 4 and 5th, a bunch of news stories came out to "deny" the missing whales, and throwing out all kinds of excuses. Almost 2 weeks have passed since the "Whale Deniers" were trooped out to what we refer to as our mass media. 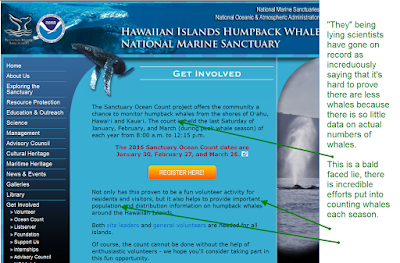 I did an extensive internet review today, and found no evidence of whales showing up in Hawaii. You can bet a buck to a dollar that if whales had shown up, it would be plastered all over the news with lots of "I told you so!". One of the excuses used was "We know so little about whale populations" which is a BALD FACED LIE. Well, one whale did show up, Malnourished, it beached itself, then it was euthanized. A young melon-headed whale that stranded itself on Ke Iki Beach on Oahu’s North Shore was euthanized shortly before dark Thursday to end its suffering. David Schofield with NOAA’s Marine Mammal Health and Response Program said the whale was unlikely to survive any attempt at rehabilitation. 2 weeks ago, a scientist who benefits from whales made the incredulous statement that perhap the reason that we are seeing so few whales is because there are actually a lot more whales this year, so they are taking their time coming down from Alaska. Let me know if you can get any of these 6 webcams to work. 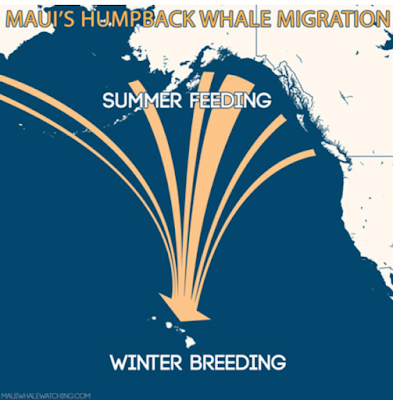 Could this be linked to the Alaska UME of Whales this summer? Unfortunately, there is a third theory with a grim ending. Reports note the “unusual mortality event” which occurred in 2015, where 30 whales were found dead in Alaska’s waters. Although NOAA scientists were uncertain of the cause at the time, they say it’s “highly unlikely” the whale deaths were caused by the release of cesium radiation by the Fukushima nuclear reactor in Japan. I sent an email to NOAA today to ask them for the test results they promised. Please also send them some questions. Per this prior article, I have been hoping to see results of radiological testing. Can you email me the results, and the gammascint energy chart please? Q: Is there any link to these large whale deaths to the Fukushima nuclear reactor meltdown? A: It is highly unlikely. From the one fin whale which was accessible to investigators, muscle samples were sent to the University of Alaska Fairbanks for radionuclide analysis, specifically cesium 134/137. Preliminary results do not suggest any unusual exposure to human-generated radionuclides, specifically cesium, that would be considered harmful to wildlife. Further testing is underway. Oldster weighed in with some evidence. Youtube is a great resource. In the video below, I see a total of 2 whales, and not that active, no breaching, etc. This next video Dec 23 2015 shows a poorly developed baby whale, not doing well, and then gets attacked by a tiger shark on video. The video below is cool, jan 5, 2016 shows underwater video of a whale, off Lahaina. I used to dive off Maui, and the whale song was a riotous hodge podge of squeaks sounds songs. There is nothing like that in this video, so yes, the lack of whales remains odd. Oldster arithmetic: 7% of 10,000 is 700. Low-ball extrapolation of approximate numbers then by 2016 = 700 x 10 years = 7000 more equals 17,000 whales. ??? Jan 2016” (Humpbacks) are now arriving in what local tour operators confirm are "normal numbers." But what are the actual numbers, declining, static, or increasing as we have been told; and what is their health? What would another 'comprehensive survey' show? The sanctuary went on to say that while the humpback whales were arriving later this year than in recent years, they are now arriving in what local tour operators confirm are "normal numbers." web cam worked, but only saw one bird in two sweeps, nothing else alive. Other videos in Jan show a couple whales, but they look really skinny. One video showed a baby whale by itself, being attacked by a shark, bleeding. Another video mentioned no sounds in the water this year, compared to ocean usually filled with tons of whale songs, clicks and noises. Something bad seems to be happening. Ya I did see the cam work yesterday, didn't see a single whale in 15 minutes, that is odd. Right on Kevin, expose truth! Appreciate your efforts.